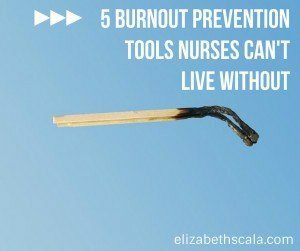 Nurses Are Unique… And So Are Their Burnout Prevention Tools! Nurses are a rare breed. 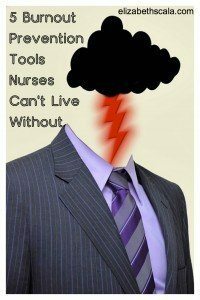 While stress and chronic overwhelm rages through the country, nurse burnout effects nursing staff in horrific ways. This ultimately creates the need for burnout prevention tactics that support the whole person. Because the nurse is always ‘on’ with little time for a break- burnout becomes inevitable. So what can be done about it? Nurse burnout is a multifaceted issue, needing a tiered approach. While nurses individually need to take care of themselves to avoid burnout- the organization that they work for also needs to support the nursing staff’s well-being with burnout prevention tools. Making sure that there are enough resources to do the job; ensuring staffing levels are adequate; and keeping the workplace safe for both patients and staff are just some of the ways an employer can curb nurse burnout. Moving down a level, to peer support and co-worker interactions, burnout prevention can also happen at the unit level. As teams work together throughout their day, they can ask one another if there is something that can be done to help a colleague out. Instead of rushing away, rolling the eyes, or cutting someone off who is speaking- nurses need to mentor each other along and help each other out. While I do advocate for healthy work environments, I also stand by my belief that it is the individual who can do the most to prevent nurse burnout. Yes, if the place of work is not supportive, a nurse needs to make a change and go work somewhere else. However, if the nurse themselves does not make any changes to combat burnout, then they are going to find themselves in a new job with the same old problems. When work calls you up, asking if you will come in for an extra shift, what is your response? Usually, for most nurses, it is a quick “Yes!” While we want to be team players and help out when there is a staffing need, we need to be mindful of how often we are the ones taking on the extra load. I always teach nurses the Yes/No Balance Sheet. You literally take a piece of paper and write “Work Calls Me For Extra Work” across the top. Then draw a line down the middle, making two columns. One side is ‘yes’ and the other is ‘no’. Then, when work calls, balance your responses. Say ‘yes’ when you really want to and are emotionally able. Then say ‘no’ at times and let another nurse pick up the extra slack. This one is a piggy-back off of number one. Nurses are givers, for the most part. Someone asks for help and we jump right in. Now- let’s look at the reverse of that. If the charge nurse comes up to you and asks if you need anything, what is your typical response? “Nah, I am fine. Thanks, though.” And then he or she walks away and we continue to struggle with a crazy day. Why not change that up? If someone asks you if you need help- and you do- say yes! Guess what? Since nurses are such giving people, they will jump right in! Let them help you and then you help when they ask for it in turn. There are some basic laws in life- one of them being the law of gravity. If you throw a ball up in the air, it will come right back down. Right now, as you read this blog post, the law of gravity keeps you in your chair. So- there are other laws that are just as powerful and in action all of the time (whether we are aware of them or not). The law of attraction is one. This law states that like attracts like. To build even further upon this, what we focus on… we get more of. So, focus on what you do not have and you will experience more of that. Focus on your strengths, what is going well, and where your opportunities are. In order to avoid nurse burnout, nurses need to shift their focus from what is not working to what actually is. Nursing can be a time-consuming profession. However, each and every nurse does get time off. No one person can be at work ALL of the time. Come on… it’s just not realistic! While learning about specialty skills, reading nursing literature, and staying current on all things nurse-related is important… nurses also need hobbies outside of the nursing profession. I have talked with nurses who have told me that after retirement they did not know what to do with themselves. They did not know who they were or what they liked as non-nurse people. Be sure that this does not happen to you and find out what you enjoy now. Similarly to point number four above, this burnout prevention tool adds to the nature of enjoyment. Not only can you have fun outside of work by getting into a non-nursing activity- you can also enjoy work! What an idea!! Smile more. Laugh. Don’t take yourself so seriously. Enjoy your colleagues and do fun things on the job. Finally, figure out your strengths (tip three above) and then find yourself a job that uses your unique talents and abilities. The more that you can make work feel less like a job, the better off you will be. What else? 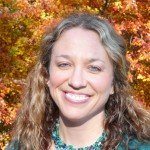 What burnout prevention tools have worked for you? Share below and thanks for reading! If you would like to share this article with your nursing colleagues, go ahead and download/print a copy by clicking here. 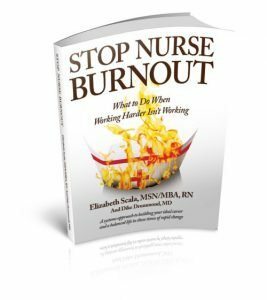 Elizabeth great suggestions for us nurses on ways to prevent burnout. The one big one for me that has taken me some time to learn and do is to say YES to help. Not just when I am working at the hospital, but in all areas of my life. Being open to receive was a challenge for me, but has gotten easier the more I do it. I hear you. It can be tough to let others help us… especially when we know we can do things so well. Glad to hear that you are taking others up on their offers to help you. Thanks for commenting, Cassandra.